The veteran coach returned from the States where he traveled last week for health issues and he is expected to continue on the bench of the team despite rumors about the opposite. 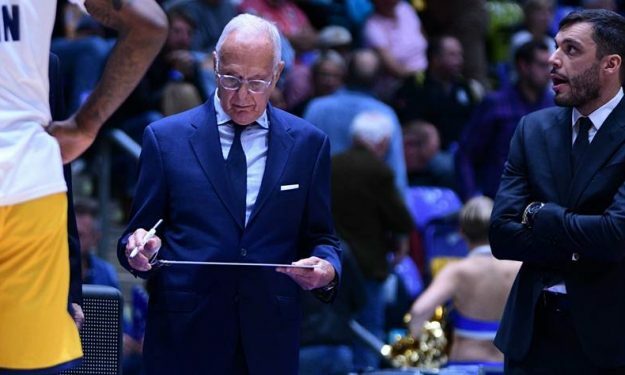 Larry Brown is back in Italy as his club, FIAT Turin announced. Brown spent the last few days back in the States due to his health issues, taking advantage of the FIBA “windows” break. According to Turin’s press release: “After a week of individual trainings, directed by assistant coaches Paolo Galbiati and Stefano Comazzi, which were attended by some players in the recovery phase, new roster additions, Dallas Moore and Darington Hobson, captain Peppe Poeta and center Marco Cusin, Fiat Torino resumed the team trainings led by Larry Brown, who came back to Turin this morning“. The next game of Turin is scheduled on the 8th of December for the Italian Legabasket against Trento. Larry Brown’s team currently has a 2-6 record in the domestic league and a 0-8 start in the 7Days EuroCup.